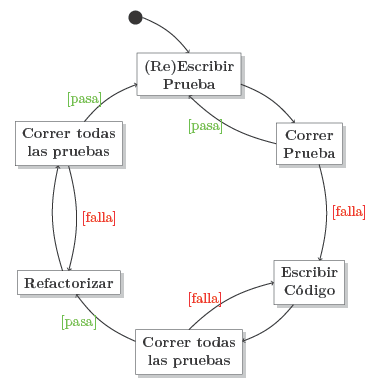 I'm sure it's not the best way to do that, but as I said, I'm very new in tikz, and the concept seems clear: draw the nodes at 360/total_nodes degrees, find intersections between node and a circle, draw an arc between intersections. 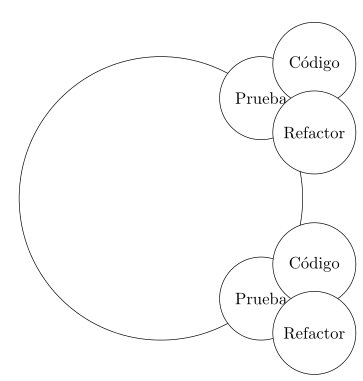 I would like to make the 3 bubbles (prueba-codigo-refactor) a node, so I can do the same thing I did before. 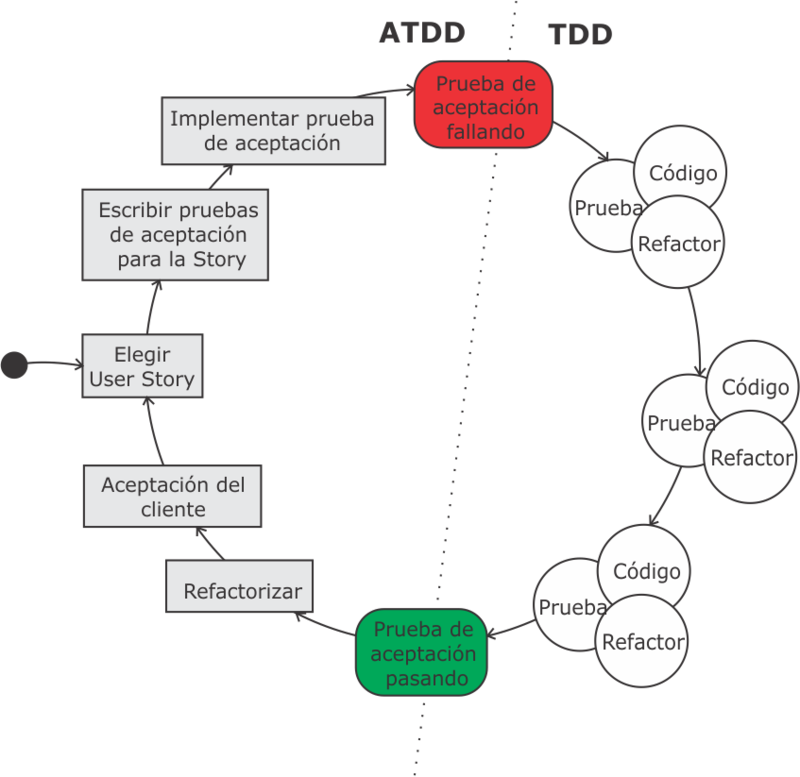 How can I do to make the 3 bubbles a node (and behave like a node) so I can do the same thing I did before? This is all I can think with one-day experience with tikz, you sure know better and may come up with a better solution, I want to hear it! I want to learn tikz, so a "here, paste this code and works, bye bye" it's not the best answer for me. On the other side, "look at this link, bye bye" it's kind of hard to me to understand, a MME would be awesome (and the link). Since the node shape is not special in the sense that custom paths are not required, you can place two more nodes whenever you place one somewhere. I've cooked up a style that works for this example but you can also make it more customized to accept positioning details, colors, styles etc. Some care is needed to use it as it is because it will draw over the bubbles if you address directly the underlying bubble for the paths. There are some remedies but I'm not sure if you need them. Also append after command should be used inside a path but here we are just being adventurous. Draw arrow not to node center but to edge of circle on this node?